PS3 version coming to retail, PS Vita version digital-only. Following a number of leaks, Tecmo Koei has confirmed it’s bringing Atelier Rorona Plus: The Alchemist of Arland to PlayStation 3 and PS Vita on June 24 in North America and June 20 in Europe. The game will be available on PS3 at retail and PS Vita via the PlayStation Store. Atelier Rorona Plus follows the story of Rorona Frixell, a young girl assigned with completing alchemy tasks over the course of three years in order to keep the kingdom of Arland from banning her workshop. New field model for more vibrant scenery. Additional stories- new chapters featuring Totori and Meruru (the main characters of the other two parts of the Arland trilogy), extra content, and new illustrations. Additional Content, including various playable characters, maps, bosses, costumes, and more. Improved Synthesis system and new assignment system. New battle system with advanced battle features, skill execution between various characters, etc. 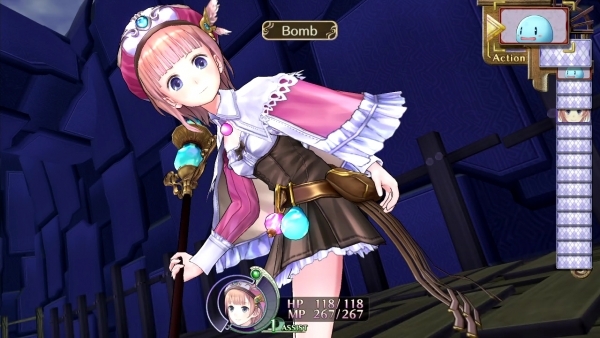 A Time Capsule system that allow players to bury items in Atelier Rorona and pick them up in Atelier Meruru and Totori (cross content with PS Vita versions of Atelier Meruru Plus and Atelier Totori Plus). Over 30 different Endings: Depending on how you interact with characters and complete your missions, the ending will change, making for extremely high replay value. Cross Save/ Share data between the PlayStation 3 and PS Vita versions. View a new set of screenshots at the gallery.